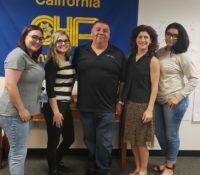 SACRAMENTO – On October 2, 2017, member services representatives from the California Statewide Law Enforcement Association (CSLEA) introduced themselves to new state employees at the California Highway Patrol (CHP) Academy in West Sacramento and Metropolitan State Hospital (MSH) in Norwalk. 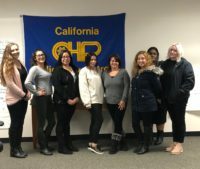 “We welcome our new CHP dispatchers who are training at the academy in West Sacramento, and the new hospital police officers protecting MSH patients, staff and the surrounding community,” said CLSEA President Alan Barcelona. “I’m happy that our representatives were able to spend some time with them, introduce themselves and explain CSLEA benefits and services. 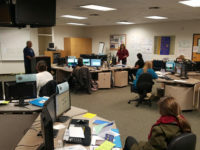 Visiting seven new members at the CHP academy were CHP-Public Safety Dispatchers Association Vice President Victor Tovar and CSLEA Representatives George Pina and Marco Castro. 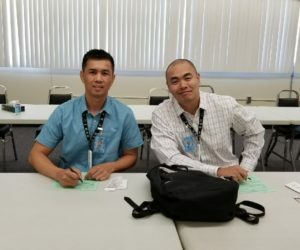 In Norwalk, CSLEA Representative Shelley Bishop welcomed new members Alvin Alday and Steve Tsai.